How Does Pouch Packaging Enhances Marketabillity for Dry Foods? 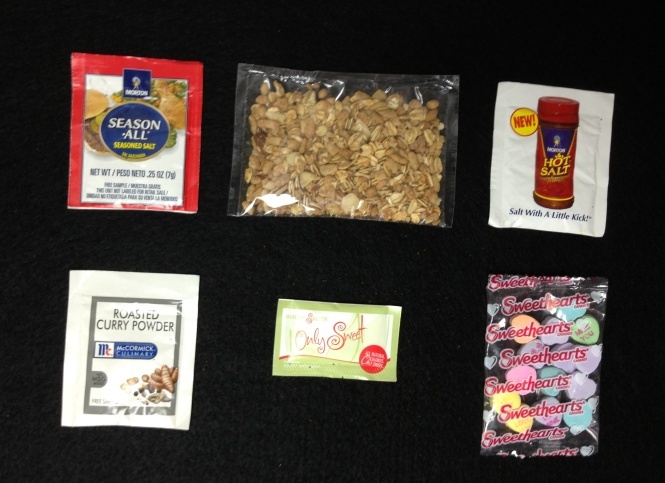 Many food items are dry and can be packaged in a variety of pouch styles. Pouch packaging, aka flexible packaging, has trended to become one of the most common ways to package dry goods, powders, solids, spices and mixes. Many dry good food blenders and manufacturers rely on this type of packaging to market their retail products and with good reason. It is versatile, cost-effective, space saving, shelf stable, flexible and customizable. Pouch size, artwork and pouch (film) structure are all open to design based on bulk density, retail outlet, certifications and merchandising. There are a number of pouch styles available. Each has its own set of benefits that make it more suitable for a given product than the others. Here is a breakdown of the types of pouch packaging currently on the market for the dry food industry. Vertical pouch with fin seal – This type of pouch is the one commonly used for snack foods, candy bars and pet treats. The vertical sealing is a high speed method which creates a vertical seal that runs down the back of the package, or “fin”, giving it its name. Horizontal pouching with 3 or 4 sided seals – Horizontal sealing is used when a seal on 3 or 4 sides of the product is desired. A 3 sided seal is typically run on a Bartelt horizontal sealing machine, and the “fold” in the bottom of the pouch is not considered a seal although you can request that a seal be applied there for a cleaner and more symmetrical look. A 4 sided seal pouch is typically run on one of a few machines that marry the front film with the back film and then sealing occurs all the way around to finish it. These machines can be either “Circle” machines or “Prodo-Pak” machines. Pre-made pouches – These are pouches that are plain and pre-made in standard sizes, ready for filling. Many film manufacturers can supply pre-made pouches in any structure, size, gusset, zipper and artwork. Premade pouches will be more expensive when compare to roll stock film that gets converted on the machine, but the 2 main reasons for ordering premade are low volume run requirement and a large size that prohibits use of running on an automatic pouching machine. Zipper pouches – Zipper pouches are popular because they can be resealed after being opened, keeping the contents secure and fresh. When combining a zipper with a foil internal layer, you achieve the maximum shelf stability for your product once the pouch is opened. Sachets – A “sachet” (pronounced sa-shay) often refers to a smaller pouch used for sampling, condiments, salt and pepper, sugar and promotions. The outer layer is often made of PET (polyester), foil (Met/Pet) or a cosmetic web structure (high gloss PET outer with a foil inner layer. Pillow pouches – These pouches have been around for many years. A good example of a pillow pouch is a potato chip bag. These types of pouches are not only filled with the product but also enough air to provide a cushion that protects that product. Gusseted Pouches – Gusseted pouches can have a gusset (expandable film) on the base, the sides or both. This expandable feature can be achieved in-line on an automatic horizontal machine or in a premade and allows a larger fill weight with a small size and ultimately allows the pouch to hold more product using a smaller footprint. Fill weights: know the pouch fill weight, typically expressed in “grams”. This is established by the customer, NOT by the contract filler. Artwork: if you don’t have an experienced graphic artist in-house, then hire one. Flexible packaging artwork can dramatically impact the success of your retail product. Substrate: work closely with your supplier to determine the best film “structure”. There are several options for the different layers of film to be used and this is largely dependent upon the product being packaged, oxygen barriers, film thickness, laminations, sealant layer, etc. Date/lot codes: be prepared to provide proper date and lot code information to your contract packaging company including the location on the pouch to be coded and the exact codes you need to meet your specific retail requirements. Final Pack-Out: How many pouches will be packed in a shipper case, counter display, PDQ or club pack? While many contract fillers can use their experience to help guide you, it is up to you to fully understand the needs of your retailer as many of them have unique but very specific final packaging specifications. Flexible (pouch) packaging can not only protect the product it encloses, but can also enhance its marketability all while providing the end-customer with convenience, shelf stability and ease of handling.